This is official thread of Spring edition of Figure contest sponsored by Adalbertus. In this thread you should post about 3 pictures of your entry with short description (scale, manufacturer, etc). Second prize is winner's choice single, not mounted 54mm figure or set of two 1: 35 scale figures from Adalbertus brand + winner's choice LifeColor's 6 colours paint set. Thanks again Adalbertus for sponsorising it. It's funny because the current ecology minister in France is Nathalie Kosciusko-Morizet, the same except one letter ! 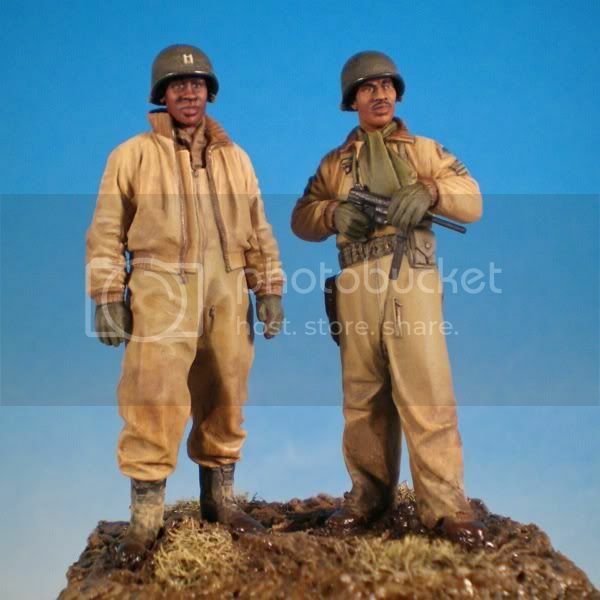 I would like to submit my entry "Black Panthers of the 761st Tank Battalion". 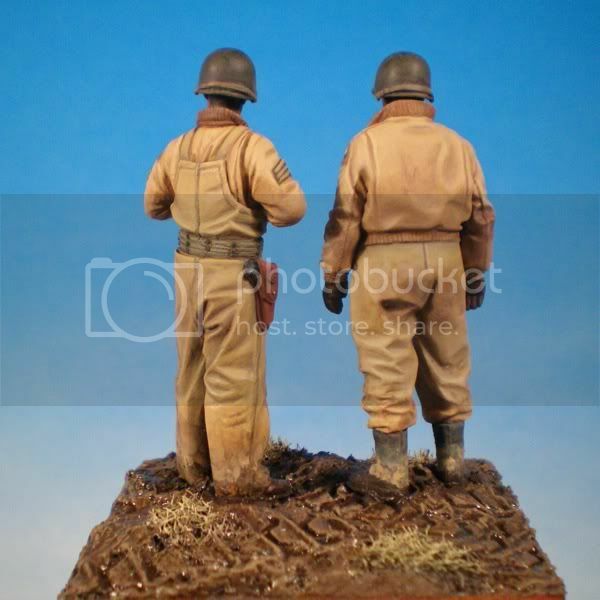 The figures are 1/35 Alpine Miniatures with Hornet heads and Tamiya helmets. Paint is Vallejo, Citadel and various acrylic inks and glazes. Weathering has been completed using artists pastels. 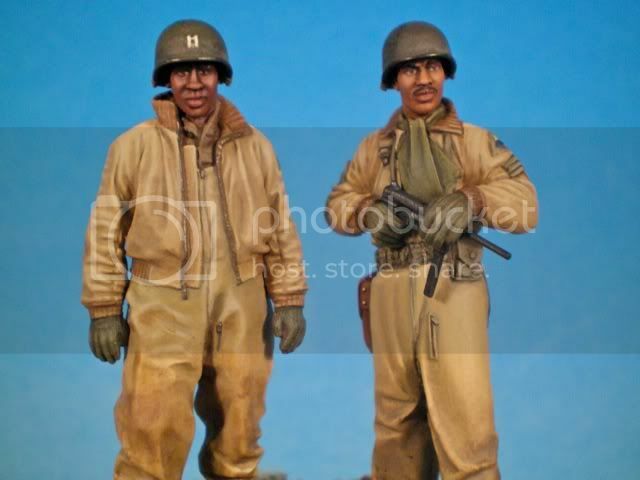 The 761st Tank Battalion was one of three all African-American tank battalions during WWII, the others being the 784th and the 758th. The 761st was highly regarded and much decorated for their accomplishments in the ETO, eventually receiving the Presidential Unit Citation. They were known as "Black Panthers" with the motto, 'Come out Fighting." 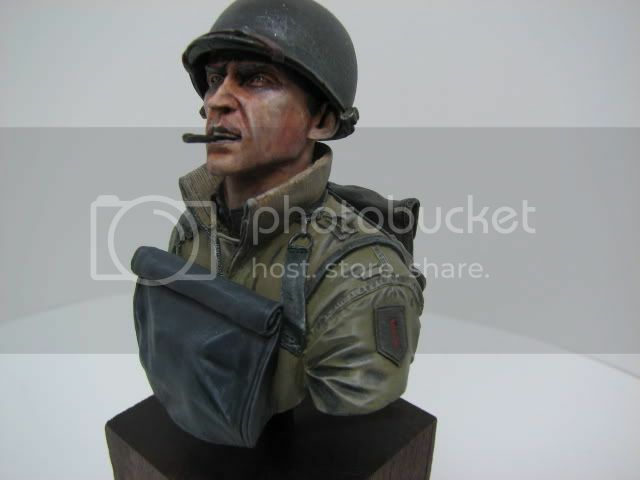 The bust was given a new mount made from Evergreen plastic-tubing and a cigar whittled from a cocktail stick was also added. Painting was done entirely with acrylics from Vallejo and Andrea.
" I find television very educating. Every time somebody turns on the set, I go into the other room and read a book. " Here is my entry, Warriors figure #54012, "Viking Raider 9th-11th Century" sculpted by Peter Morton, painted mostly in oils. Hi! 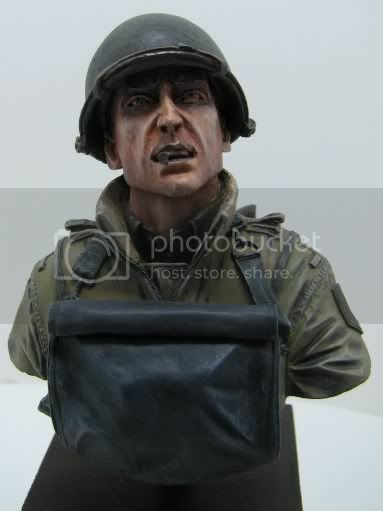 This is 1:10 bust from Andrea Miniatures, "After the battle, 1250". Painted with Andrea Acrylics with a touch of W&N oils. Hope you like it! Contest is now open for voting. Thank you for participating. 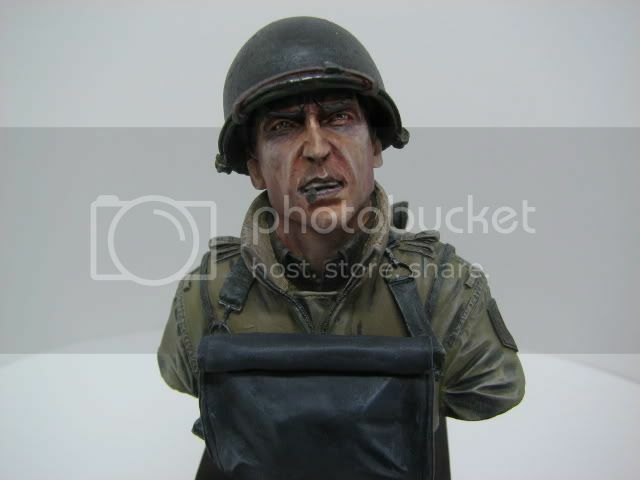 I hope to your models in next contests.